Getting back on the imaginary saddle shouldn’t be difficult, right? What exactly do I mean, you say? Well, it’s not as weird as it sounds, I assure you. Look, I am a life-long nerd. Yeah, a pretty big one. There are many facets to my nerdiness. Perhaps the biggest of all being that I play the archetype of all nerdy games: Dungeons and Dragons. I just recently started a new campaign with a group of friends where I am to be the Dungeon Master. Despite the fact that I have been playing for over 17 years, I haven’t actively played in a few years and I am still somewhat nervous to be taking the reins once again. You might think that it would be just like riding a bike, Inflatable water slides Canadabut it’s a bit more like getting back on an imaginary horse and there’s a terrifying dragon swooping down to EAT YOUR FACE. Apprehension aside, it is exciting to be at it once more. As mentioned previously, I have spent over a decade and a half playing this game now, which seems wild, because that is the VAST majority of my life. (I’m 26 if you were curious.) 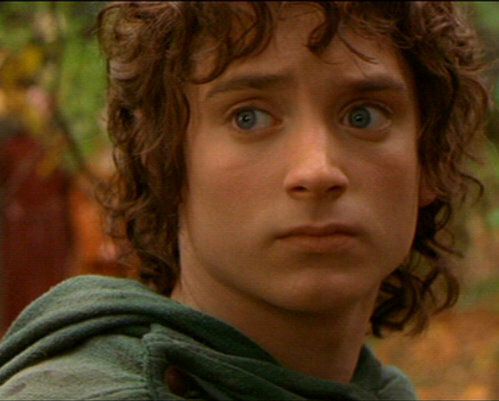 I’ve been playing long enough that I actually remember a time before a sultry-eyed Elijah Wood made Frodo Baggins and all things fantasy accepted parts of pop culture. I still remember a time when wizards were not scarf-toting, hipster British children and you got stuffed in a locker if you owned anything other than six sided dice. 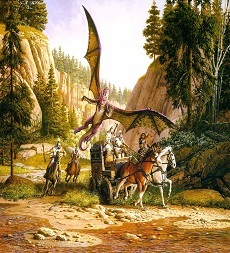 Despite that lingering threat of confinement and anguish, I had an interest in the middle ages and tales of sword and sorcery from an early age. It was only a matter of time before I picked up the dice. Those are some serious peepers. Even in those early days of playing with my friends it became clear that I was going to DM. I loved every aspect of the role. When you are the DM, you control everything. Every morsel of flavor, every nuance is shaped and crafted in the mind of the DM. You must weave an elaborate web of personalities, places, and perils. It is the DM’s job to make an imaginary world as colorful and vivid as possible. The ideal is that your players are able to completely immerse themselves in a world that is conjured from nothing but a collaboration of imagination. However, making the imaginary seem tangible is a colossal undertaking. So, for the sake of posterity and science, this and the following articles will be a discussion and dissection of the trials and travails I may face through the inception and commencement of the new adventure. For this new escapade, I decided to run the campaign in a world that was very familiar. Having previously DMed and played in the Forgotten Realms it was an easy fit. For those who aren’t familiar with the Realms, it’s a very popular fantasy campaign setting created by Ed Greenwood and popularized by many video games and novels including the Baldur’s Gate games, and R.A. Salvatore’s Dark Elf series. 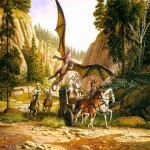 The Realms are extensive and filled with vast intriguing lands each with their own histories and legends. By comparison, any of the incredible open-world video games that are so popular, the Realms dwarfs them all. That is the beauty of D & D compared to video games; there are no limits, and there is no set finale. The game is truly what you will it to be. After having decided upon a setting my next course was to determine with my players what kind of party and characters they had in mind. D & D characters can come together in many fashions, but I prefer to let my players have a great hand in the creation process. In traditional forms of the game you roll your stats and choose a class based on your rolls and the rest essentially is to fall into place. For me, I want my players to enjoy playing their character. Therefore I got together with each of my friends individually to create their characters. This allowed me to focus on each player and the character they wanted to develop. Also, when it comes time to start the adventure there is a sense of mystery about what role everyone is going to be taking, consequently, the party coming together must actually be played and experienced by the group. In the end, we wound up with a fairly well balanced group. There is a gallant and noble young paladin named Dhagan. The spellcaster of the group is a brooding and cunning wizard by the name of Vaerzaal. Also, there’s a mischievous and inquisitive halfling rogue they call Longbelly, but his kinfolk would know him as Hugo Humblepot. Rounding things out is the reclusive and tormented ranger Ulderic the Blackbear. Each character has a distinct and extensive back story that was shaped together with my players. For me, this is an essential element of the game. Making the characters layered and giving them as much depth as possible is a fantastic tool. Not just for making your players feel more absorbed in their character, but also for later in the campaign. There is always something to go back to and build upon. You can only rescue the princess from a tower so many times, right? And now here we stand, metaphorically of course, on the cusp of a great journey, poised for the task at hand. So stay tuned, my new friends, for there will be many adventures and headaches to be had. Though the glory of the quest and the fruits of my labor may be completely imaginary, the good times shared by a group of friends are fortunately real and often quite memorable. Suddenly I’m reminded how much I love this game. It’s good to be back on the imaginary saddle.